As the weekend has now come and gone, it is time to reflect on another competition. 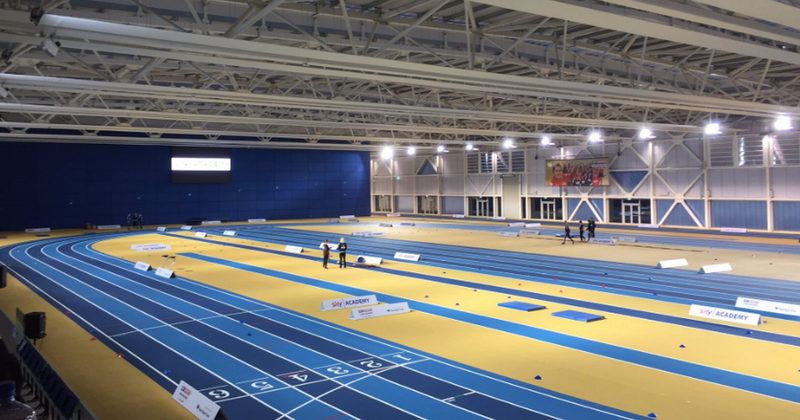 The National Indoor Senior Championships took place on Saturday and Sunday in the National Sports Arena in Dublin. It would mark the end of my first ever indoor season, so I was hoping to end with a bang! It was certainly a competition of ups and downs in regards my performances. As with anything though, it’s better to look upon the positives and that’s exactly what I did. I had one successful run and one not so successful run, but I’m gained value experience and a well needed learning curve nonetheless. One of the big decisions I made in the run up to this competition was to run my first ever 400m race. This competition had been pinpointed as a possible chance to finally go and run the dreaded 400m. In fact, it was my last chance to do it – as the National Seniors marks the end of the indoor season. Throughout the indoor season, I told myself I was going to run it but each competition came and went with no 400m race experience to my name. I don’t know if it was due to nerves or if I was scared but I never brought myself to actually going out and running it – which sounds bizarre consider I’ve been training for the event since September. At the end of the day, I was going to gain more experience and knowledge running it than if I had just left it until outdoors. So actually going out and doing it was a great feeling, even if it didn’t go entirely the way I wanted it too. Slow start! Plenty to work on! Before the race, I was confident of running 51 seconds – and going by training it was certainly a possibility. Although it’s easier say it than actually go out and run the time. The main fear I had was pacing myself. My coach had told me to go through the first 200m in roughly 24 seconds and try maintain as best I could until the end. The only problem I had with this was that I didn’t know how to run 24 seconds. I know that sounds strange to you all, consider I run a 23 second 200m. The experience of pacing and speeds eludes me. I usually just go out and run as fast I can, so for me to have to run a specific time in relation to a certain distance was an area I had little experience with. Unfortunately, I went through the first 200m far too slow and set myself up for a bad race right from the gun. I was falling behind early on and as much as I tried to gain ground, I simply couldn’t. Lack of race experience defined in a nutshell! Before I knew it, the race ended and I had run 52.31. Disappointing? Extremely. I knew I could run much faster but I just didn’t get it right on the day. It’s a learning curve and one I’m sure I’ll look back on come the end of the season. It can only get better from here. Next up was the 200m race, where I had a little bit more experience and confidence than the dreaded 400m! I was flying high in this event, after running a few personal best times over the indoor period – so I was looking forward to capping off my last indoor 200 of the year in style (or least I was hoping this would be the case). Thankfully, I did exactly this! I managed to clock in a time of 23.01, knocking.24 seconds off my time from the previous week. Considering I was after running a 400m only a few hours earlier, I was delighted! Slow progress is better than no progress – so I’m thrilled to be taking off little chunks each week. The only downside was that I didn’t break the 23 second mark, especially when I was only .2 of a second away from doing so. Still, a PB is a PB and it’s safe to say that my first indoor season was a success. Capping off my last indoor race with a 200m PB! Overall, a day that started with a low turned into a high! I gained that badly needed experience over the 400m event, and will have no fear going into the outdoor season. Looking back now, not running this event before outdoors would have been huge mistake and I can take so much away from getting that badly needed race experience. Running another PB over the 200m was the upside of the day, and It has put me in good shape to knock another chunk off that time come the summer. Each week and competition, I’ve seen progression and this is directly correlating to the times I’m running so it’s wonderful to see that the training is paying off. I can only improve more from here! It’s time to work on another tough block before the outdoor season commences. Onward and upwards! If it was easy to get it right on the day we’d all be gold medalists! Competition is a whole other ballgame from training. Thank you for this post. Well done. Looking forward to boxing with my trainer again tomorrow.